Here at Conley, we offer several existing custom home plans with endless OPPORTUNITIES.you can also Utilize our ARCHITECT and design team to make it your own. 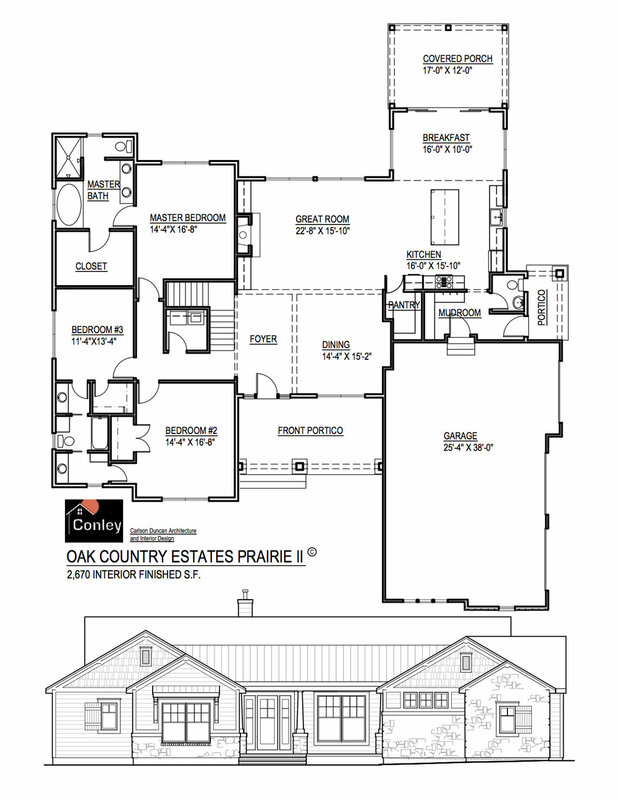 Prairie is a reversed story and a half with a large open concept. It offers 3 bedrooms, 3 bathrooms, and a large mudroom. Additionally, there is breakfast space, dining space, an open foyer, and oversized 3 car garage. View II is a reversed story and a half with less square footage, with emphasis on an open entertainment space and spacious mud/laundry room. It offers 3 bedrooms, and 2 bathrooms all on the main level. 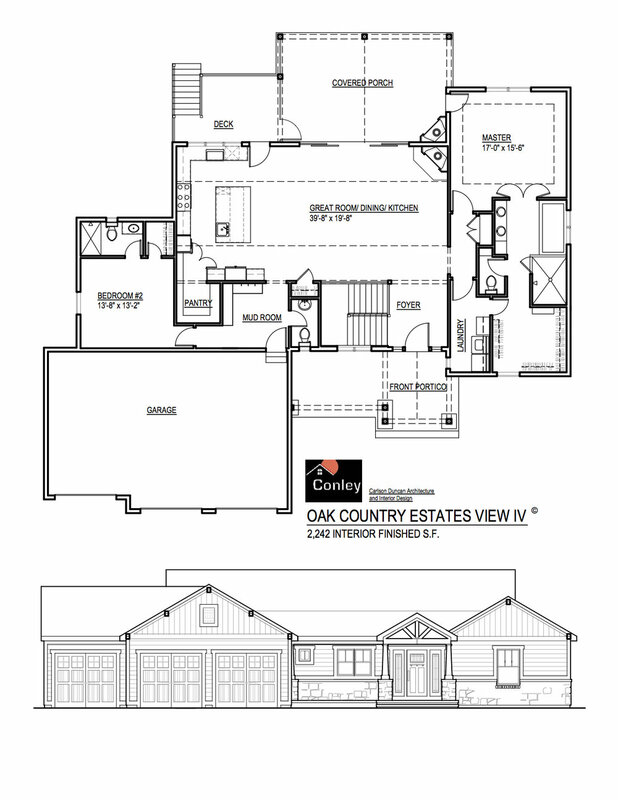 Craftsman is a story and a half farmhouse style home, with a large open entertaining area. It offers 4 spacious bedrooms and a home office, 3 full baths, and 2 large outside sitting areas.